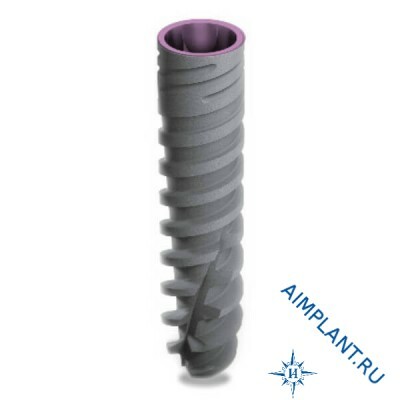 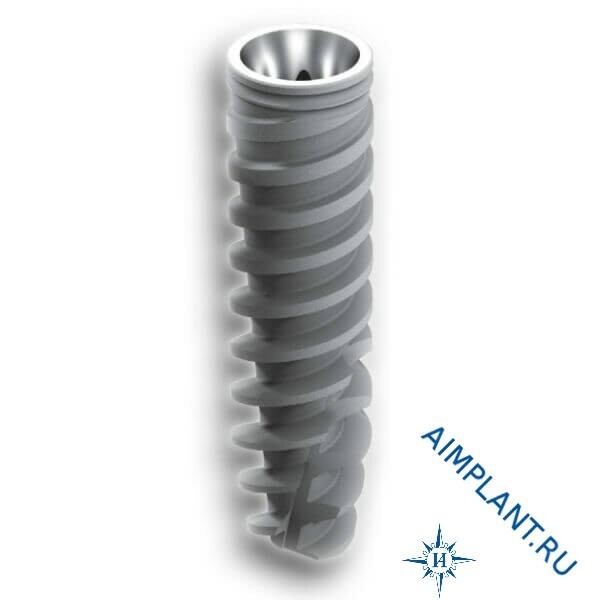 The Touareg RP implant length 13 mm, diameter 3.5 mm, Adin (Israel). Thanks to the double lead threads (2 X 1.2 mm) and conical form, is provided by the precise introduction of implants Touareg™ RP , SMARTNET, better aesthetic characteristics and better load distribution. 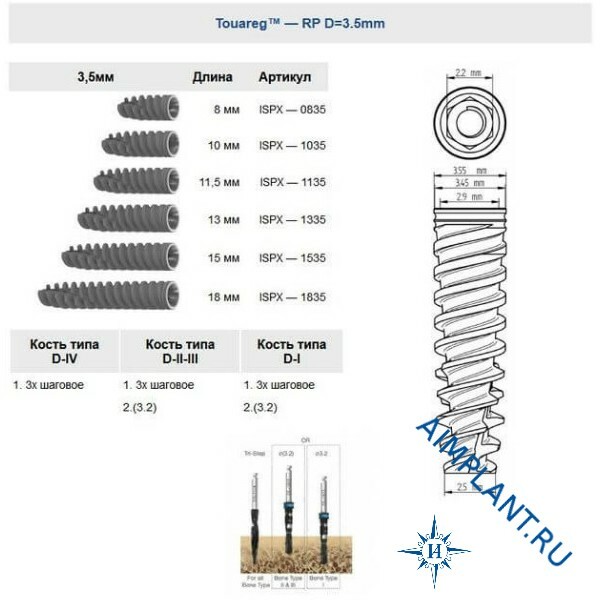 The unique design of the Touareg™ allows for immediate function for all bone types.